I AM PROUD OF MY WORK! 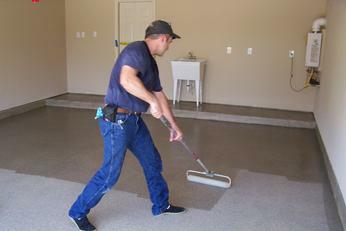 Versatile Coatings LLC has been installing floor coatings since 2002. In that time I have installed a variety of floor coatings depending on my customers requirements. I have also installed our coatings over many different types of floors including concrete, wood, fiberglass, metal, tile, formica and even rubber mats. In my photo galleries you will see some of these different installations. The photos in these galleries are just a few of the projects I have done. Follow me on Instagram @versacoat or on Facebook @versatilecoatingsllc to stay up to date on the more current projects being completed.